Deane has served as a nail tech since 1990 and with S-kape since 2015. 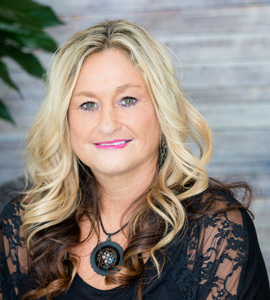 She loves to spoil her clients with pedicures, gel manicures, and now airbrush tanning, “I love to add an extra flare with some fun nail art.” When Deane isn’t pampering guests, she loves animals, horses, her family and her motorcycle! Deane serves guests on Wednesdays 1-5, Thursdays 10-3, Fridays 1-7 and Saturdays 10-2.